The breezes at dawn have secrets to tell you. La brezza all’alba ha segreti da dirti. Book now and get the best rate! By booking directly from our site you can be sure of getting the best rate and a suitable accommodation for your needs. The Hotel is surrounded by an extrordinary cultural and natural background and placed near the archeological area of Nuraghe Mannu. This nuragic village, considered one of the most important of our territory, dominates Codula Fuili and overlooks the breathtaking panorama of the Gulf of Orosei. Silence, peace, and tranquillity caracterize the Rural Tourism Hotel Villa Maria Caterina, which is the ideal place for a relaxing holiday, and it is a perfect starting point for excursions and hikes. Wide and well-equipped lookout point on the Gulf of Orosei, where you can capture the beauty of the first moments of dawn and the scents of the Mediterranean countryside. Environments and furnishings completely personalized and perfectly in harmony with the surrounding environment. Experience the thrill of enjoying breakfast while watching the sea! Our breakfast will amaze you with the assortment, freshness and quality of the products, and you will be able to appreciate it in our splendid sea view terrace. The Hotel Villa Maria Caterina Staff can suggest the best itineraries or take you to discover the most beautiful corners of the Gulf of Orosei and the Supramonte of Dorgali. Enjoy your holiday in Cala Gonone without worrying about the safekeeping of your car or your motorcycle! Free Wi-Fi connection in every room and in every part of the structure to be always connected and communicate with the world! By prior arrangement the Hotel Turismo Rurale Villa Maria Caterina offers you the possibility of staying with your small or medium-sized pet! Struttura situata in un'oasi, dal quale e' possibile ammirare un panorama mozzafiato. Camera originali e fresche, personale gentile, ottima colazione, meravigliosa terrazza. Personale gentile e disponibile. Posizione e panorama stupendo. 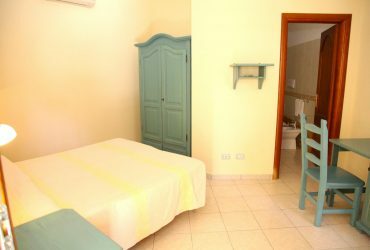 Super accoglienza e location di puro relax. 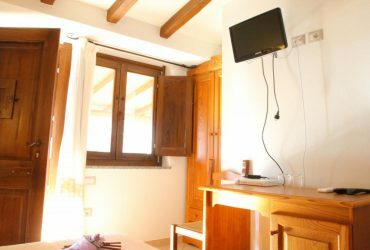 Struttura ottima in un posto bellissimo con un panorama incantevole una bella vista fra mare e montagna fra rustico e moderno personale gentile e disponibile con la presenza di capre e gatti che ti fanno compagnia la mattina a colazione immerso in un ambiente rurale.